Interdisciplinary Studies Students Do Well with Grants! Our projects are innovative ! SSHRC Doctoral Award: We are please to announce that Johanna Lewis has been awarded a 2016 SSHRC Bombadier Doctoral Award of $17,500. Congratulations. Toronto General Hospital: Robert McKnight was awarded a $5,000 research grant. SSHRC Masters Award: We are please to announce that Rebecca Barnstaple and Ruth Tait have been awarded a 2015 SSHRC Masters Award of $17,500. Big congratulations to Rebecca and Ruth! 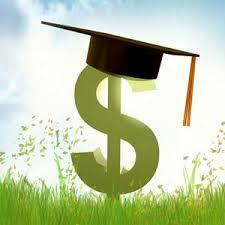 Canadian Graduate Scholarships : Johanna Lewis was awarded $17,500 and Ruth Tait has been awarded $5800. Way to go! Ontario Graduate Scholarships - IS student Heather Bergen was awarded $15,000. SSHRC Michael Smith Foreign Study Supplement: Kaspar Saxena was awarded $6,000. SSHRC Masters Award: Kaspar Saxena was awarded $17,500. Ontario Graduate Scholarships: Alexandra Busgang was awarded $15,000. Ontario Graduate Scholarships: Sue Patrick Breit was awarded $15,000. Canadian Graduate Scholarships: Luke Kernan was awarded $5800 . Ontario Graduate Scholarships: Tae Ho Han was awarded $15,000 and Sara Shadkami was awarded $10,000. Ontario Graduate Scholarships : Denise Scott was awarded $15,000. SSHRC : Denise Scott was awarded $17,500. Ontario Graduate Scholarships: Kali Anderson was awarded $15,000. SSHRC: Kali Anderson, Annette Blum and Katharine McDonald were each awarded $17,500. Not too shabby! SSHRC: Peter Trainor and Amy Wanounau were each awarded a $17,500 award. Here is a summary of the research funding (that we know of ) that has been awarded to our IS students in the recent past.